I spoke with Eddie (the draftsman and asbestos guy) over text messages on Friday. He indicated the plaster sample came back negative for asbestos. The plans should be off to the Queens DOB as well. This weekend finds us cleaning and prepping the first floor for paint, and the second floor for the masons coming in next week. We selected NY NY Constructing Corp. to work on the interior tuck-pointing and window lintel repair on the second floor. 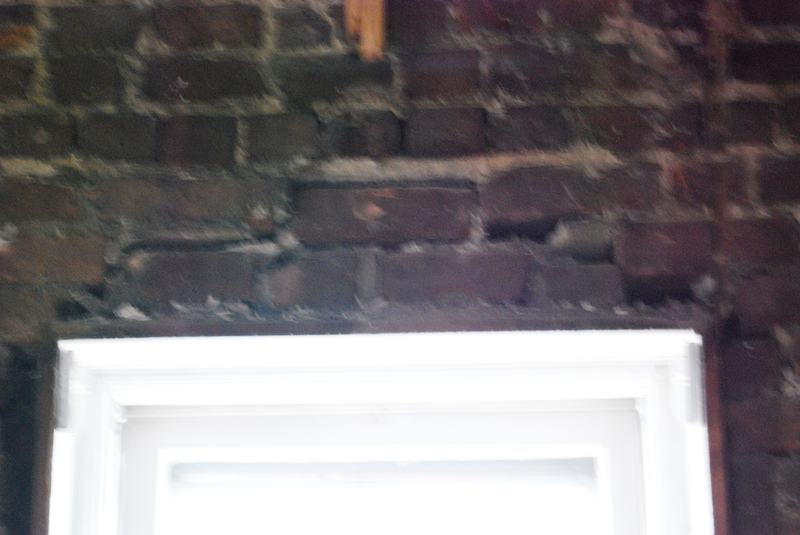 Much of the 1200 square feet of wall on the second floor (probably nearly half) needs to be repaired. Below is an example. 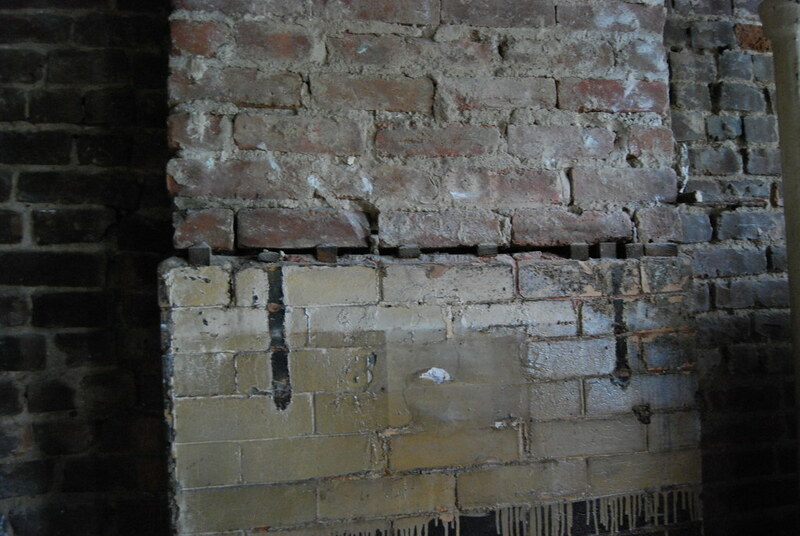 Chimney in the kitchen area--notice the original brick below the crack--it is facing brick, indicating it was exposed, and the crack was the result of a cast-iron mantel which was removed. An original mantel exists in the basement on another chimney. There are two windows which were put in on the south wall later on--probably 30+ years ago... Always install a lintel, people! 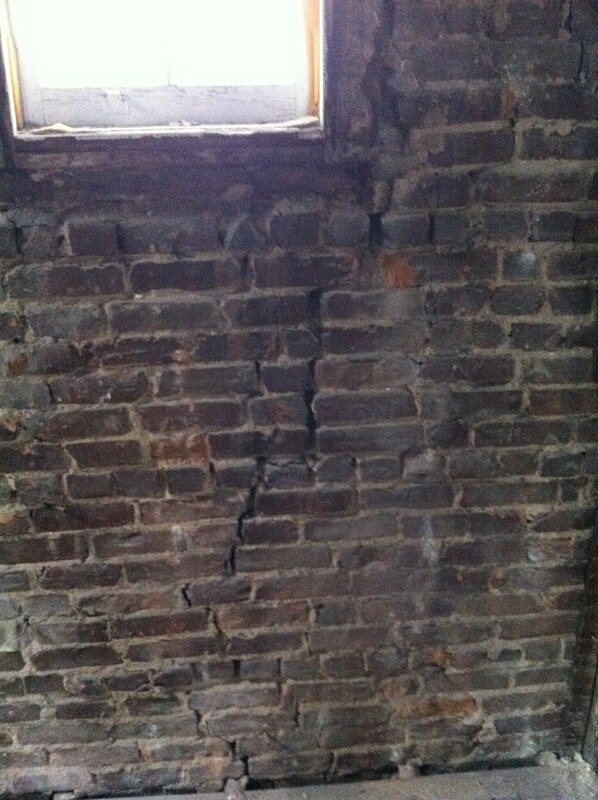 Fortunately, this is only damage to the interior course of bricks.